Transpoco has been building up a network of key partners throughout Europe in order to expand its coverage area, to offer expertise in all aspects involved in fleet management and activity through a complete solution and to provide an increasingly better customer experience. We work with different companies and offer different types of partners program. If you want to know more on how become a partner, visit our dedicated page and fill in the form. This team of partners takes part to our project of building up a plaform for fleet and vehicle intelligence. Resellers are leading providers of fleet management services, fuel, insurance, maintenance, technology that propose Transpoco and SynX to their customers. With the help of our partners, we create new solutions to better serve our customers'needs. We work with key associations and organisations to share best practices in transport, as well as excellence in safety and compliance. Topaz is working with Transpoco at the vehicle intelligence project of the Open Platform and proposes SynX to their customers. With over 330 service stations across Ireland and Nothern Ireland, Topaz has the largest branded Fuel Card network in Ireland. This gives customers great choice and opportunity to service their business needs anywhere in Ireland. Combined with SynX and its technology, the Topaz Fuel Card provides customers with competitive pricing, flexible credit terms, access to 350 Topaz sites nationwide, Topaz Efficient Fuels, Play or Park Loyalty Points. LeasePlan is the World's No. 1 Leasing Company. LeasePlan Ireland manages more than 16,000 vehicles and employa 80 dedicated people. The core business of LeasePlan is the provision of fleet and vehicle management services to both business users and the public sector. Sixt leasing is the market leader in business to business car rental, and its B2B experts make sure your company's mobility needs are met 24/7. Sixt leasing come from the expertise of Sixt, one of the most trusted and valued car hire companies in Ireland and in the world. Sixt has helped people get to where they need to be for over 100 years, covering customers'needs with the right vehicle at the perfect price. Established in 1999 ALD Merrion Fleet has grown to become one of Ireland’s largest fleet management companies. Wholly owned subsidiary of ALD Automotive, the leasing division of Société General Bank, ALD Automotive manages over 1.4 million vehicles at present. Phonetech Communications is one of the leading mobile communications and vehicle security experts in the North-East region of Ireland. Phonetech offer a wide range of products including telematics, handsfree phone kits, car alarms, reversing cameras, parking sensors, security and health and safety products. FUELlink Systems is the first Fuel Management company to offer an automatic Bluetooth vehicle identifier with the option of odometer transfer and vehicle fuel tank level, providing 100% reliable data that integrates into the Fuel Management System. FUELlink Systems is a reliable, industry leading, innovative fuel asset management company: main commitment is to offer first class service and support. A fuel card for all businesses giving you access to over 1,400 sites across Ireland. Fuelwise supplies commercial fuel across Ireland, UK and Europe to a wide range of customers including leading haulage and transportation companies, big brand retailers, food service providers, right down small to medium companies with one or only a few vehicles such as couriers, plumbers or painter and decorators. Johnston Fuels has been on the road since 1965, distributing oil, kerosene, lubricants and LPG to domestic and business customers throughout Scotland and parts of England. Johnston Fuels have also kept their customers on the road with their vehicle maintenance division and selection of fuel cards, while ensuring that homes across Scotland are kept warm with their range of green fuels and heating services. Tranzaura provides solutions that address customers needs in the areas of tachograph analysis, safety, time management and planning that are delivered as web based solutions. 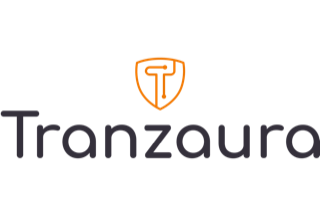 The deployment of Tranzaura solutions has realised savings of 75% in the fleet administration costs as well as ensuring that all compliance needs of the organisation are met on a timely basis. E-Volve TC caters for different size of fleets from small, to medium size, to large. 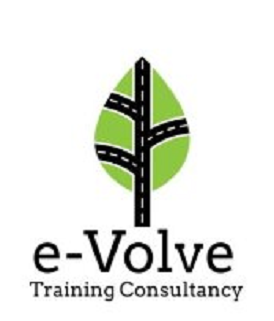 E-Volve delivers a tried and trusted approach towards reduction of risk and costs for fleets and works closely with customers to plan for their road safety training and recording of it. 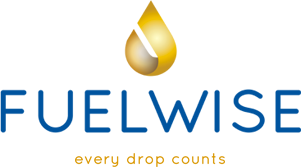 E-volve offers risk assessment package with e-learning modules. VQS has been providing a range of vehicle inspection services to leasing companies, car manufacturers, rental companies and dealer groups since 2001. VQS built up an enviable reputation for the quality and consistency of their inspections, either remotely or on-site at a customer’s de-fleet premises. APS is a French company active in fleet risk assessment and safety training. 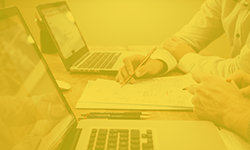 APS is Datadock compliant: Datadock is a platform including training providers that work according to legal conformity and top quality standards - providing extra security for your fleet. Ecowash is a French-based business offering a combined service, "Wash and check", providing a vehicle wash and a vehicle check reporting on status of the vehicle and possible sources of costs, while always keeping in mind the environment. With Wash&SynX, Ecowash and Transpoco offer a new solution for fleets, combining all the advantages of a fleet management software with the ones of a green vehicle wash. 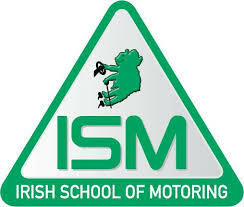 The Irish School of Motoring is a leading provider of driving lessons for buses, coaches, minibuses, rigid and articulated trucks and besides offers health and safety training and consultancy. 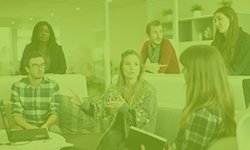 Rainbow Communications is one of the leading independent telecommunications companies in the UK and Ireland, with over 10,000 business customers. The 1-Telematics Alliance involves pioneers in the Telematics Fleet Management solutions market focused on B2B segment. 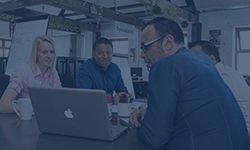 Our companies offer solutions developed to answer the most demanding customers across all industries. Having a European reach with local know how, our diversity is our biggest strength, each of the 1-Fleet Alliance members knows deeply the market they impact and we all commit in maintaining the highest standards of quality. FTA Ireland is a membership trade association for the Irish freight and logistics industry covering all aspects of private and public freight transport, passenger transport and logistics supply chain, including road, rail, sea and air. The mission of FTAI is to help members develop safer, more efficient and sustainable supply chains and transport operations as well as enhancing the Irish freight and logistics industry's influence and image by promoting high standards of safety and compliance.